When you first access your HubSpot portal, there are so many things to do: You can start by importing contacts, placing tracking code on your website, inviting your team (and each team member needs certain permissions, too), and the list goes on. With so much to do, it’s easy to forget the important tasks. Here’s a list of eight things you don’t want to forget to do in your brand new HubSpot portal. IP Filtering allows you to exclude visits to your website from anyone you don’t want to count in site traffic data. For instance, you’ll want to block the IP address for your company's office. That way when reporting website views, you’re not getting false positives from your co-workers checking your latest blog post. Don’t forget to filter out remote employees, contractors, or partners of your organization. This way your analytics reflect your meaningful audience. You'll have a statistically sound conversion rate too. To set this up, visit “Report Settings” in HubSpot and scroll down to “Exclude traffic from these IP addresses.” Simply add the IP addresses you want to exclude. It actually matters in reporting if a visitor visits your site via an HTTP or HTTPS connection. If you don’t know what the difference is between HTTP and HTTP visit this helpful article from HubSpot. HTTPS is a secure connection between a browser and the server that hosts your website. This is considered a more optimal way of passing information (via a form, for example). It’s also noteworthy that HTTPS sites have better SEO ranking. However, HubSpot charges additional fees for this feature (it’s call SSL). When setting up your portal, it’s important to choose one or the other for reporting in the Page Performance tool. In Page Performance, the same page (the HTTP version and the HTTPS version) will be counted separately on visits. This will cause confusion on how the page is actually performing. It’s important to set up both Google Analytics tracking of your HubSpot COS site and embed HubSpot tracking on any web pages you want to track that are not built on the HubSpot COS. If you’re not using HubSpot’s COS page, it’s even more important to embed HubSpot tracking on your website. Google Analytics provides website data that’s far more powerful than HubSpot. This includes data such as geographical location of your web traffic, operating system and device trends, and even keywords and landing pages for organic search traffic (which HubSpot can no longer track). 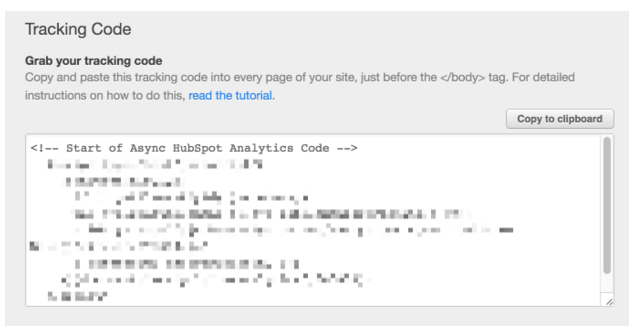 You can find the HubSpot Tracking Code under “Report Settings” in HubSpot. You can enable Google Analytics tracking under “Content Settings” in HubSpot. You might want to prevent prospects from finding a thank you page (because it throws off conversion rates) or you might want to test a landing page on one source (like paid search or social media). Either way, it’s important before you get too far with publishing landing pages to block search engines from crawling them. This will help you run clean experiments. When your leads start receiving emails from you, they will have the option to adjust their email preferences. That means they can subscribe or unsubscribe to specific email types. You don’t want a million email types, but you also don’t want only one or two. It’s important to map out the types of email you expect to send (types such as product updates, content offers, or surveys). Email types are customizable, so set them up to align with your organization’s email marketing plans. Select an SEO friendly blog URL. In HubSpot you can pick whatever you want for your blog’s URL Slug (www.example.com/this-is-the-url-slug). URLs are a crucial part of proper SEO. I suggest you think about your industry and a targeted keyword that would drive traffic to your blog. For instance, if you’re in cloud security software your blog’s URL could be www.companydomain.com/cloud-security-blog (If “cloud security” is the targeted keyword). Inbound marketing is about starting conversations and catering your marketing to the buyer’s questions. Comments on blog posts are a powerful tool to enable buyers to start conversations or join them. When you’re setting up your blog, first make sure you enable comments in your blog, and then make sure your blog template includes comments. Beyond that, there are some settings about approving comments, and who gets notified within your organization when a comment is submitted. Make sure you set up those notifications so you don’t miss: A. really awesome comments or B. really terrible/spam comments. Another thing you want to do when setting up your blog is design your blog subscription emails. You can design the emails to fit your branding. The emails automatically send (monthly, weekly, daily and instant) based on the lead’s subscription preference. Included in those emails is the most recent content from your blog. If the emails are not on brand or do not properly indicate who they are coming from, you can trigger spam reports from your audience. Make sure you add imported contacts to HubSpot Lists (labeled “imported”). That way you can treat those contacts differently. Not all contacts are created equal. 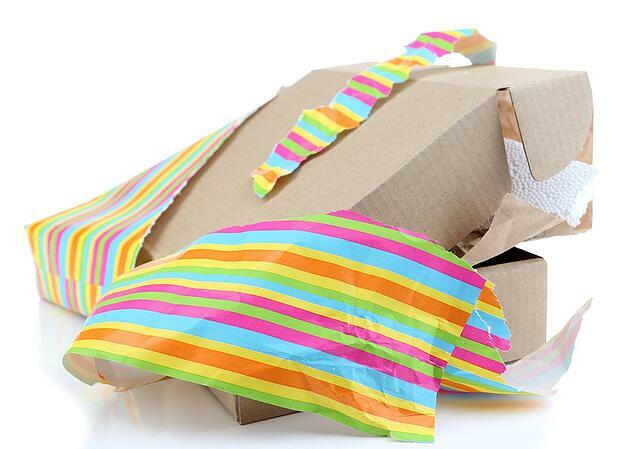 For instance, your imported contacts might not have engaged recently with your organization. If you set up email workflows that accidentally treat your imported contacts as “new,” those imported contacts might receive irrelevant emails or be miscategorized in your database. You want to set up properties that are scalable, not one-time properties. If you’re using a CRM like HubSpot’s CRM or Salesforce, make sure when you add new properties you map them to your CRM. That’s important for passing information between marketing and sales. There you have it, 8 tasks to complete before you scale your inbound marketing efforts. There are plenty of other small tasks. If you can think of any important ones I left out, let me know in the comments section below. About the author: Daniel J. Murphy is a startup marketer in Cambridge, MA. For more useful articles from Daniel visit his startup marketer’s blog at www.astartupmarketer.com.